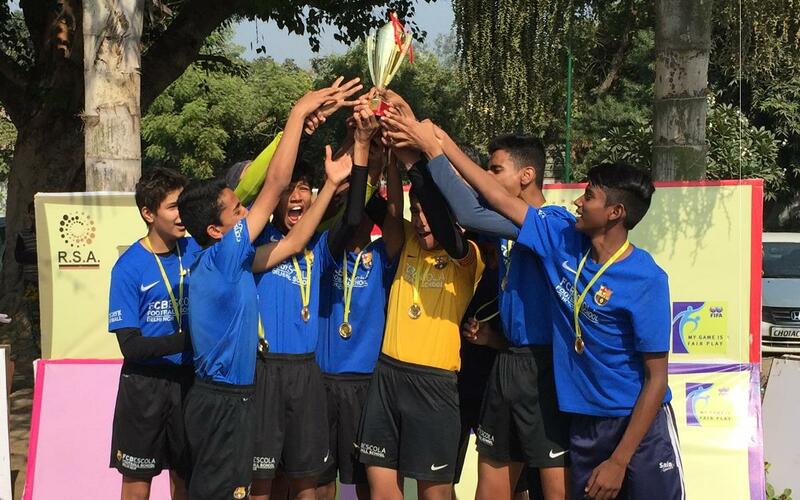 FCBEscola Delhi won three out of four categories of the RSA Cup, a six-week tournament in the Indian capital. The FC Barcelona soccer school won the U9, U11 and U15 trophies, while finishing second in U13. The RSA Cup started in October, and the finals were held last week at the Tyagraj Stadium in New Delhi. The U9 team won their 5-a-side final 5-0 against Rising Star Football Academy and the U11 FCBEscola Senyera won theirs 7-0 versus Paris Saint Germain. The U13 FCBEscola Vermell team lost their final to the French club’s academy, 3-1 while the FCBEscola Delhi U15 team collected their trophy after a penalty shootout victory over Extra Time Football Academy following a 1-1 draw.